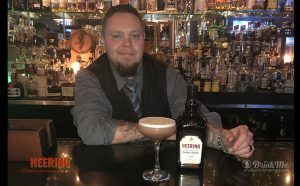 As the holidays approach Drink Me has partnered with Heering Liqueur to find the 12 Best Holiday Cocktails in America. There was a deluge of contenders but these ones topped the tree when it came to appearance/presentation, inspiration, creativity and composition/balance. 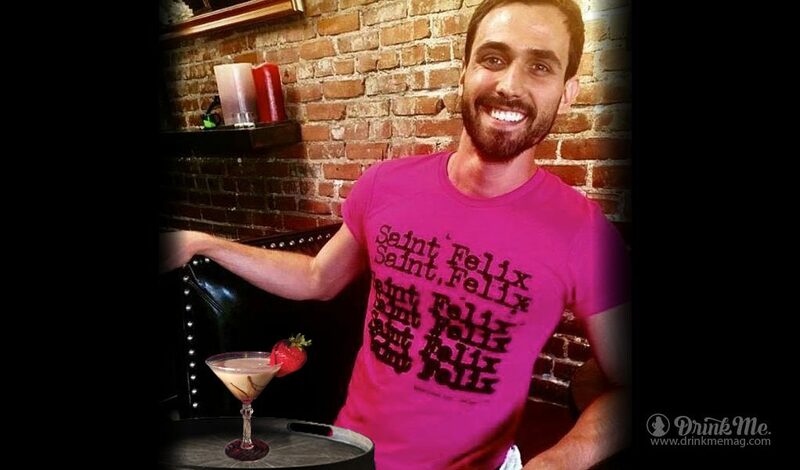 Client Keller of Saint Felix in West Hollywood has us covered on the seventh day of Cocktails with Santa’s Little Helper. Inspiration: Shopping, planning parties, going to parties, Secret Santas, visiting relatives, relatives visiting you (and never leaving)…we all need a helper this time of year. Fortunately this Cherry Heering recipe is the very friend you need. 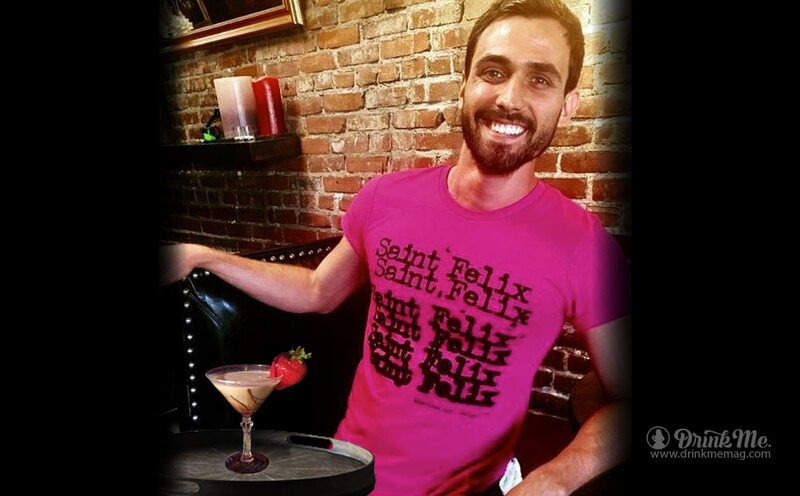 Method: Shaken in ice and poured into a chocolate drizzled martini glass served with chocolate strawberry. Not ranked in accordance to preference, No.6 on our list is Art Sutley’s Heering Dutch Negroni. Art is a Nightlife & Hospitality Expert, and the Publisher of Bar Business Magazine. You can find out more about him here. 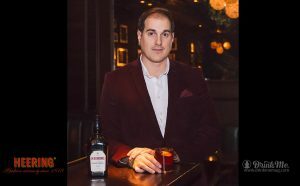 “The holiday season is upon us, and when this time of year rolls around, I think of both imbibing and feasting with friends and family. So to whet your appetite for those holiday spreads to come, I am pushing forward my favorite apéritif. To me, this twist on the Negroni embodies holiday cheer thanks to the notes of juniper, licorice, coriander, and roasted walnuts and hazelnuts found in the genever. 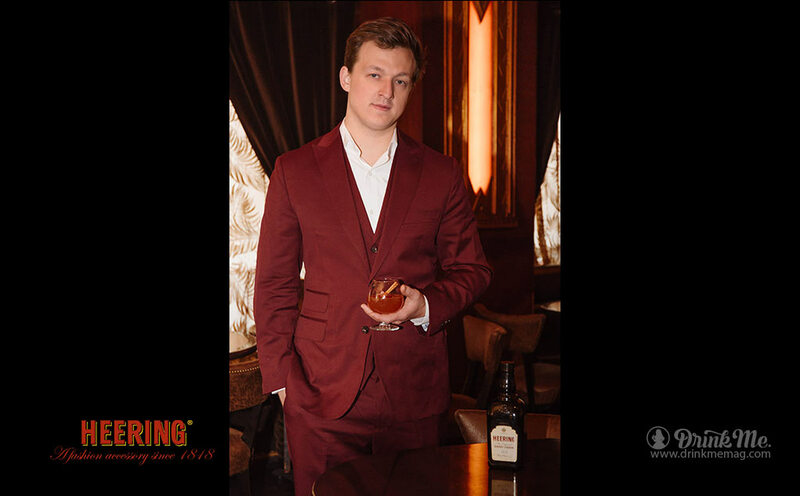 These flavors married with the deep ruby red color and balanced cherry taste from Cherry Heering make it the perfect holiday cocktail. Cheers!” — Art Sutley. Build: Stir all ingredients with ice and strain into a glass full of ice. Garnish with an orange peel. 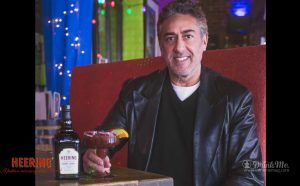 Greg Yerman marks Day 5 with a Sweet Cherry Margarita, made with Heering. 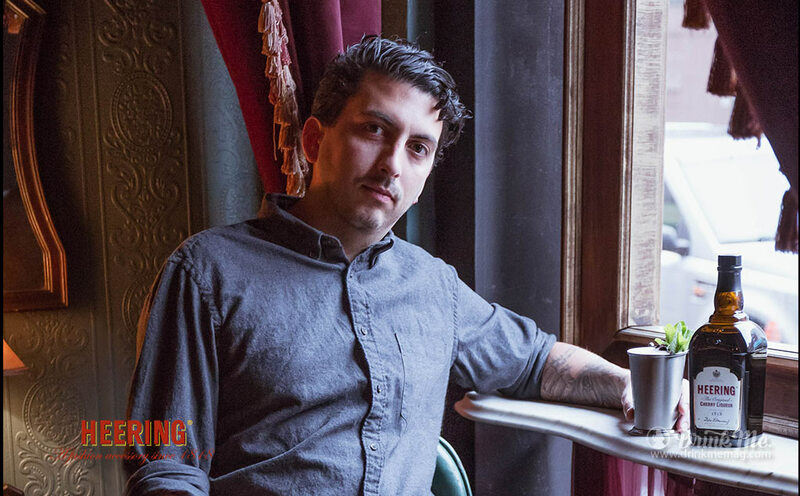 Greg is Head Bartender and General Manager at Brooklyn-based Burrito Bar and Kitchen. The cherry flavor compliments our fresh squeezed lime juice ,combining sweet and sour. Cherries are tasty as well as an antioxidant.Goes down smooth and easy, and warms the cockles of your heart. And on the Fourth Day the wonderful mixology mastery of Morgan Hamidani, Bar Manager at Barely Disfigured brought us Mon Cheri. I wanted to recreate a chocolate that we have in France around the holidays called “Mon Cheri”(My Darling). It is filled with a cherry and liquor. A savory but refreshing cocktail for the holidays. — Morgan Hamidani. On the third day of Christmas Jared Bailey gave to Drink Me, the Nightmare Before Christmas. Jared is Bartender at the Soho Cigar Bar, and wizard of cocktails. We love that he’s a Dave Phinney fan too! For me, darker spirits have always carried with them a warmer connotation, i.e. red wine and bourbon will always be more associated with warming people up, and for a cooling, summer refresher you’re more apt to go with a gin drink or a chilled glass of white, etc. With that in mind, when the time came to craft a holiday cocktail, Cherry Heering was at the top of my list. It would seem to me, that if you’re going to craft a cocktail specifically for the holidays, it should pack as much punch as it possibly can, which is why I decided to travel along the high-abv lines. Therefore, when I combined the warmer spirits (Burning Chair Bourbon and Cherry Heering) with the medicinally tasting Pernod and the herbaceous Domaine De Canton Ginger liqueur, the final cocktail found itself a perfect complement to the holiday season. — Jared Bailey. Build: Add all ingredients in a mixing glass and stir until well-chilled. Strain neat into a snifter, garnish with a cinnamon stick. On the second day Moses Laboy, NYC Bar Expert gave us a Smoke Signal. Here’s how it goes. “It’s winter with dreams of warmer weather. Bringing the flavors of cherry with seasonal apple and the warmth of bourbon. 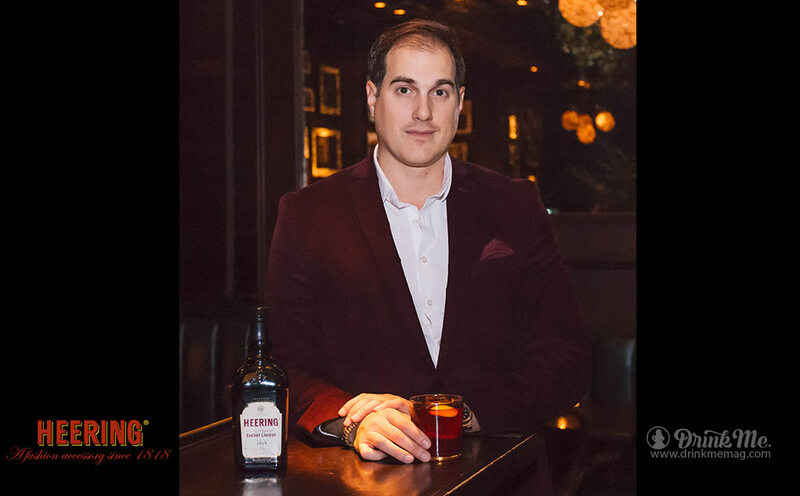 All brought together with a magical presentation of a cinnamon smoked bath.” — Moses Laboy. Add all ingredients to shaking tin. Add ice, shake till cold. Strain over fresh ice. Bathe entire cocktail in cinnamon smoke and garnish. On the first day of Christmas my dear Jerry Glover gave to me A One Way Ticket to sublime libation. 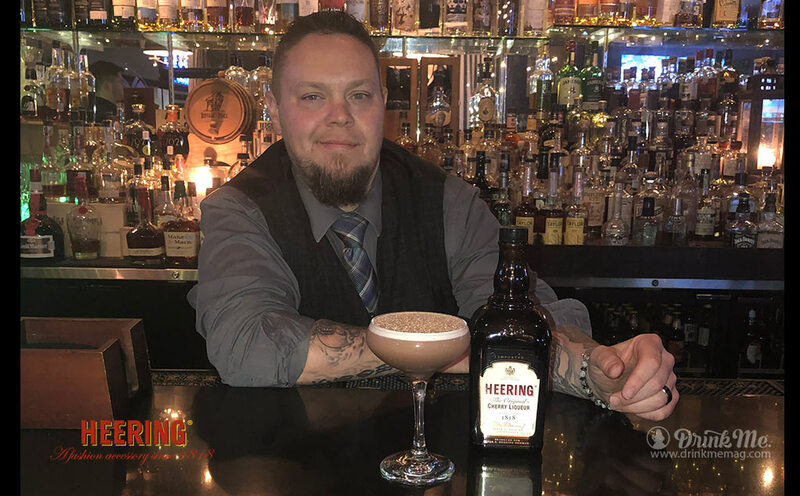 Jerry is the Bartender at The Federal Grill in Houston, Texas and has created this Heering Cherry Liqueur-inspired holiday cocktail to kick off Heering’s 12 Days of Cocktails. Capturing the flavors of the holidays is essential when creating a cocktail that not only looks and tastes great but also evokes memories of holidays past. That means tapping into the flavors that people expect from holiday foods as well as the smells they’re used to this time of year, as far back as their childhoods. Spiced plum, cherry, nutmeg, cinnamon, and sugar all deliver that familiarity. 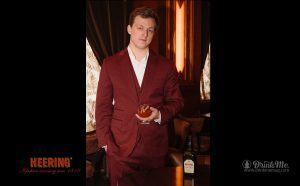 Heering Chery Liqueur is probably one of the best products out there that can tie all of those flavors together without overwhelming the palate. This cocktail is balanced but still well-layered with holiday favorites. Put it on your menu; your customers will love it. Build: Shake with hawthorn spring. Remove spring. Fill with ice. Shake extra hard. Strain into coupe glass. Garnish with grated nutmeg. Build: Boil 20 minutes. Strain and let cool. Keep in fridge up to 10 days. 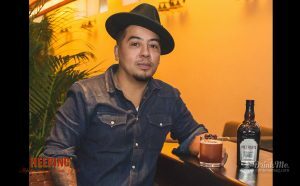 Next post Learn To Drink in a New Language Japanese Craft Beer Launches in U.S.